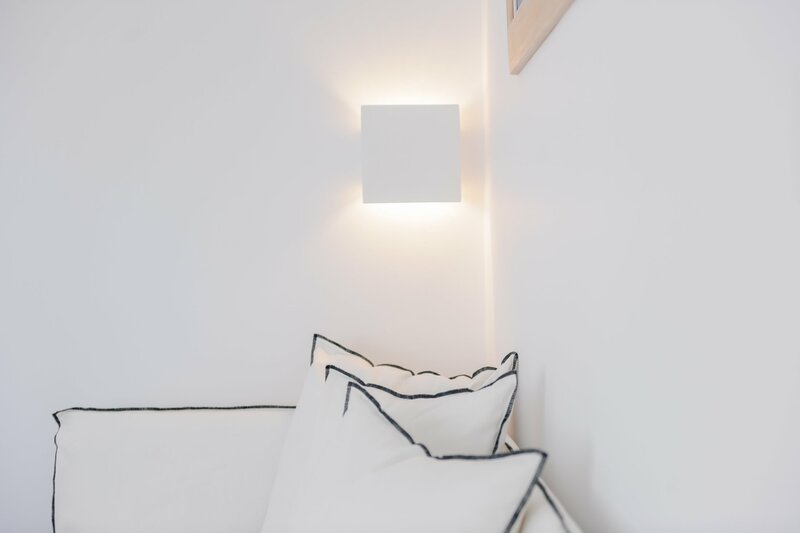 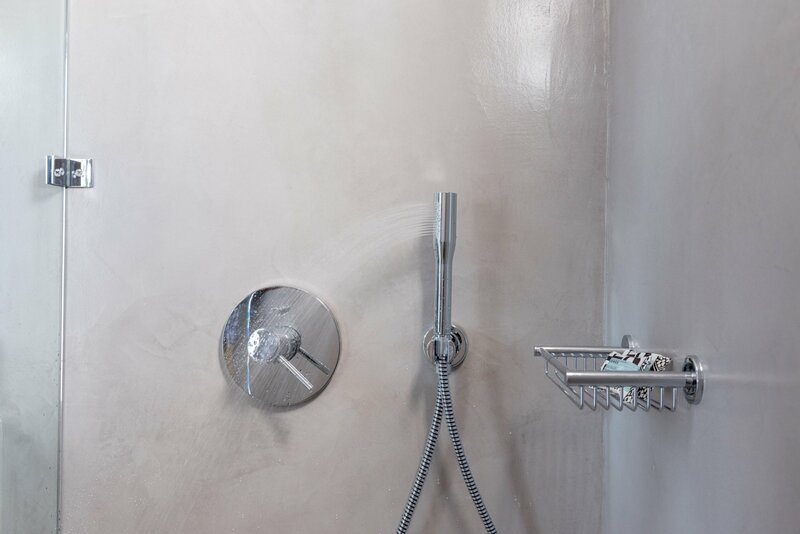 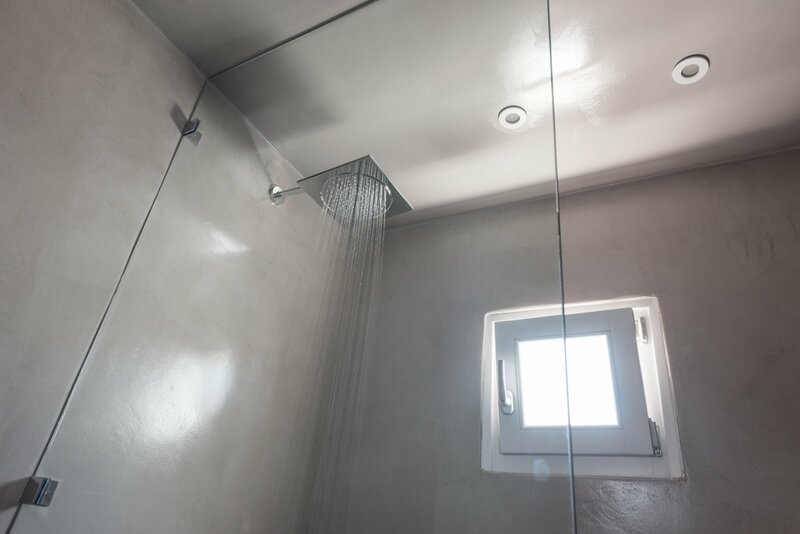 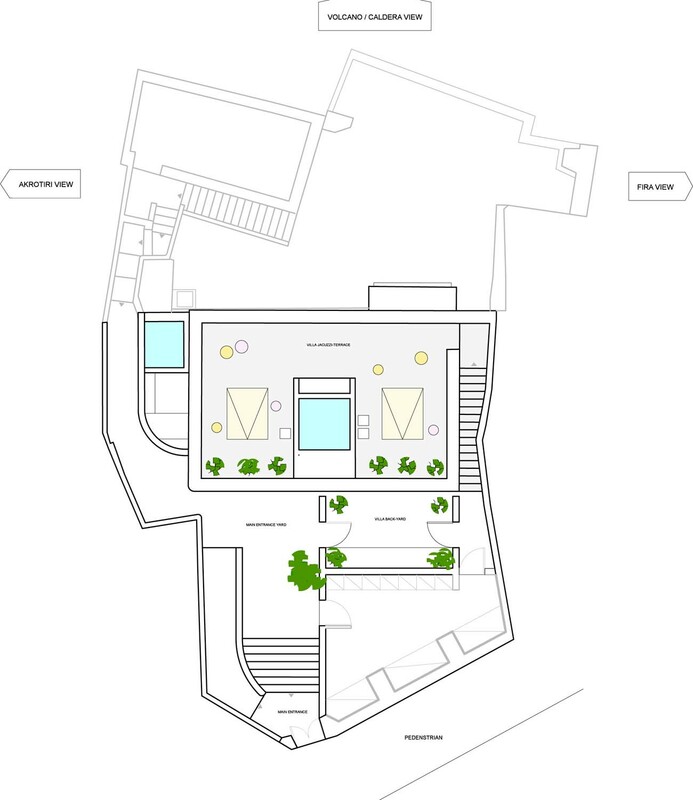 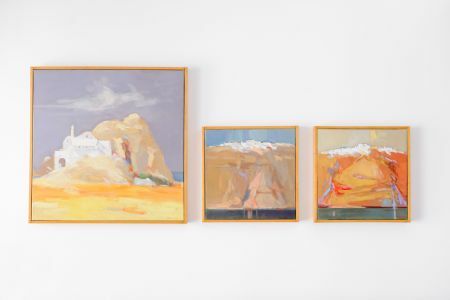 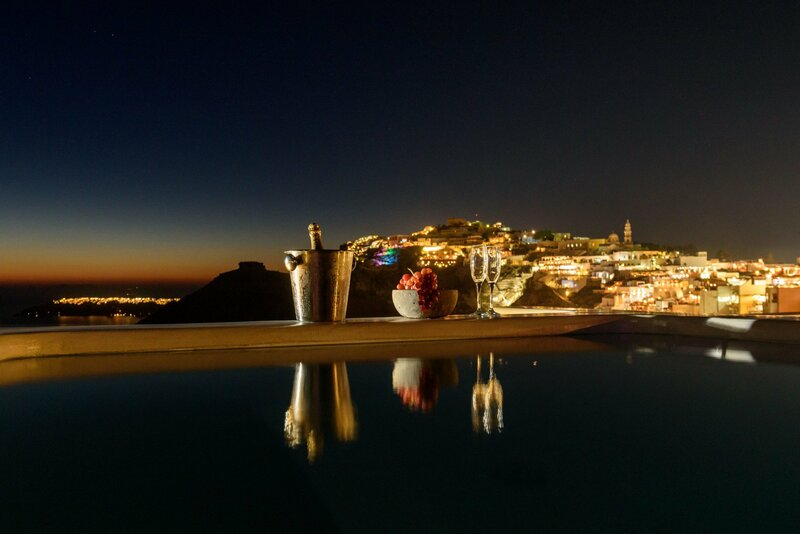 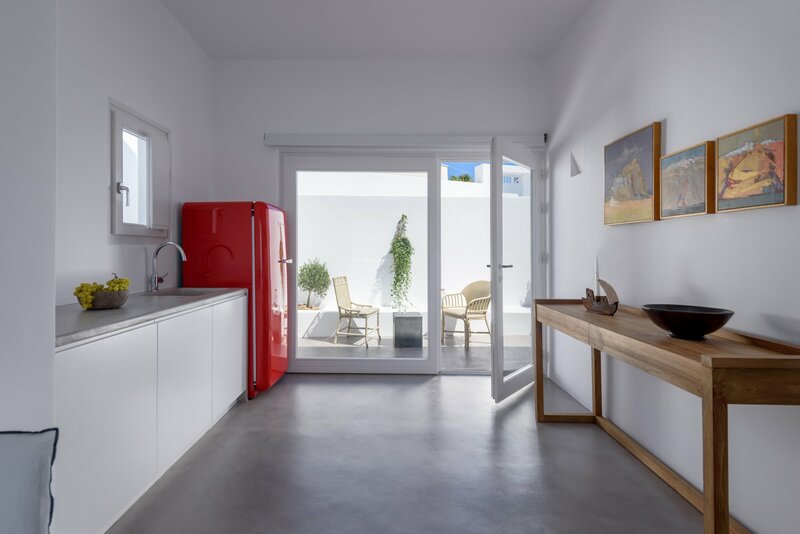 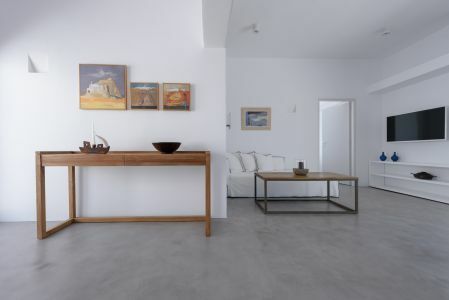 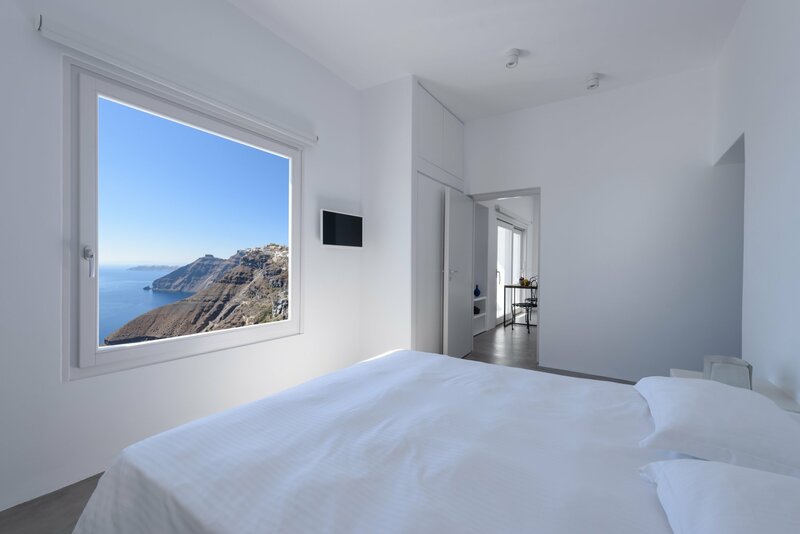 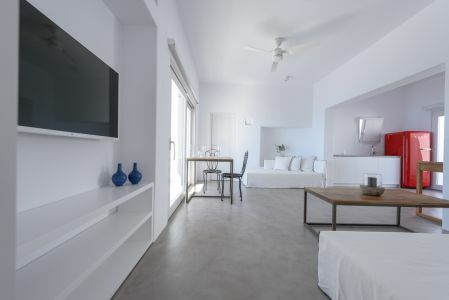 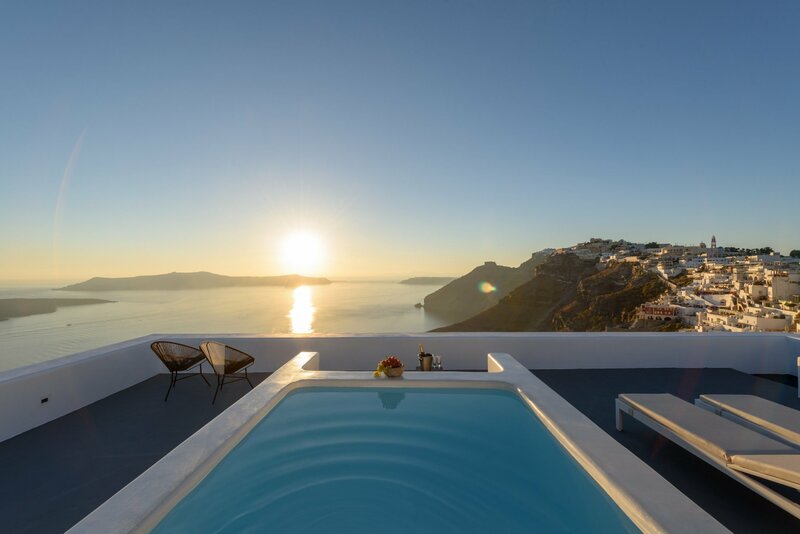 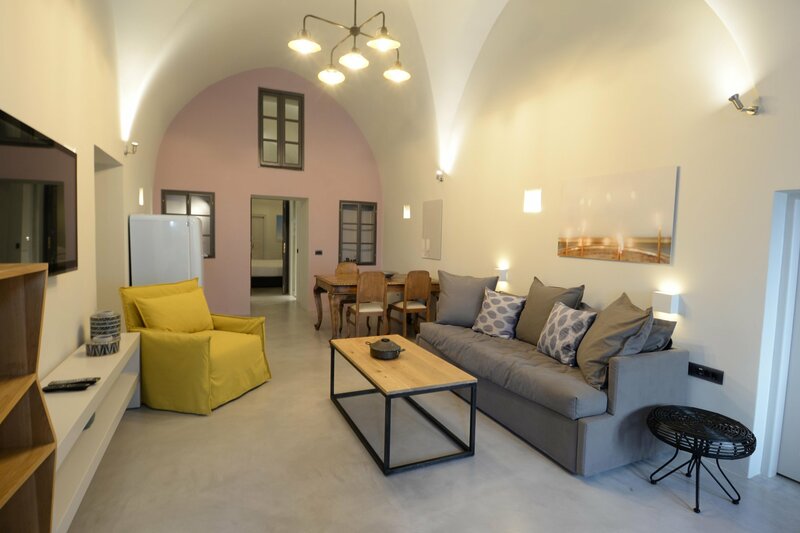 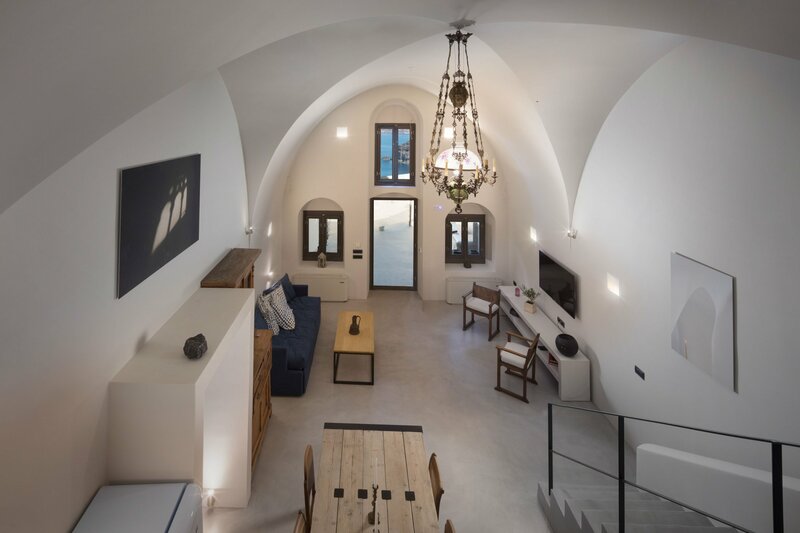 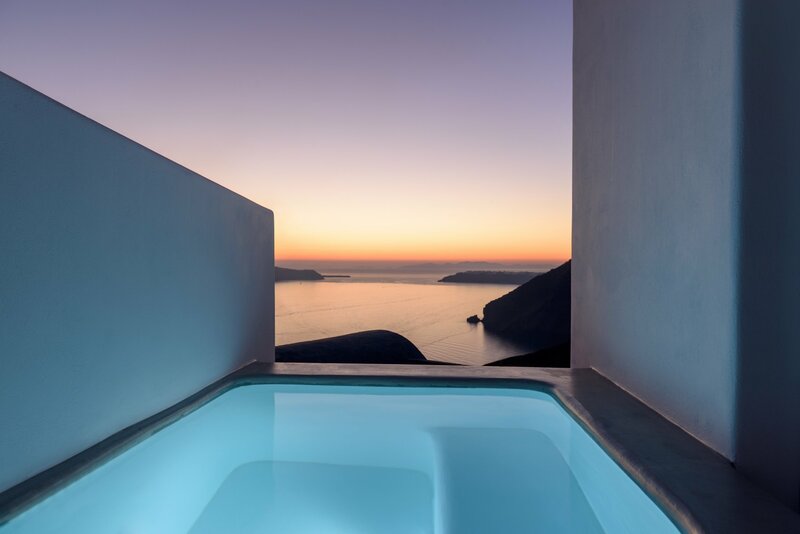 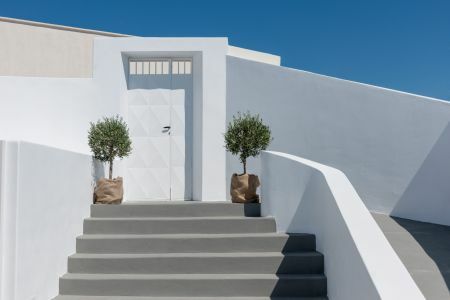 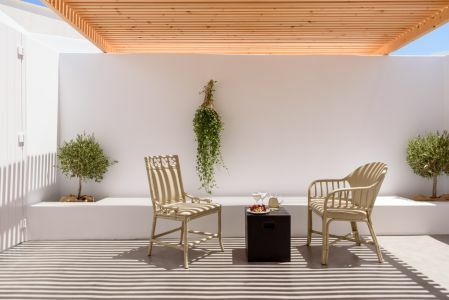 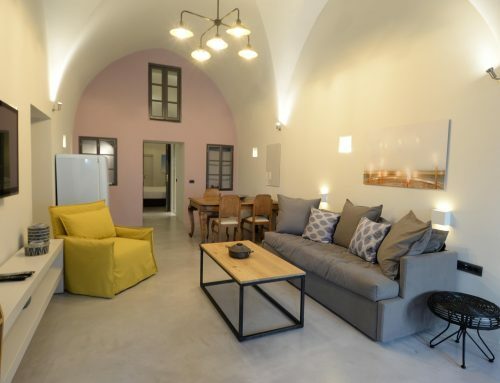 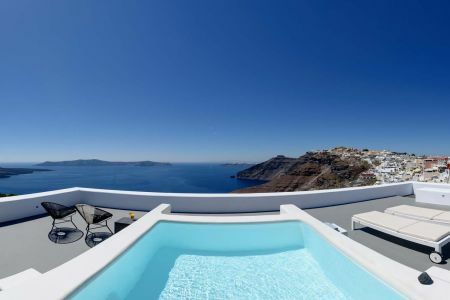 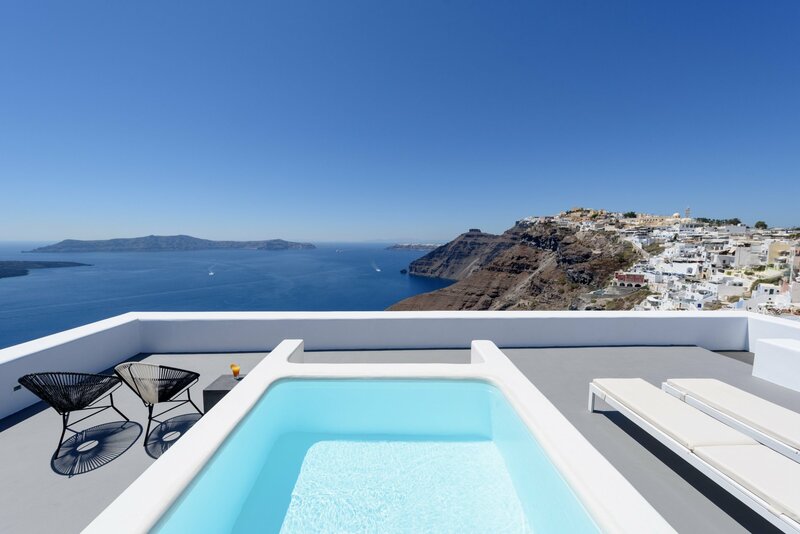 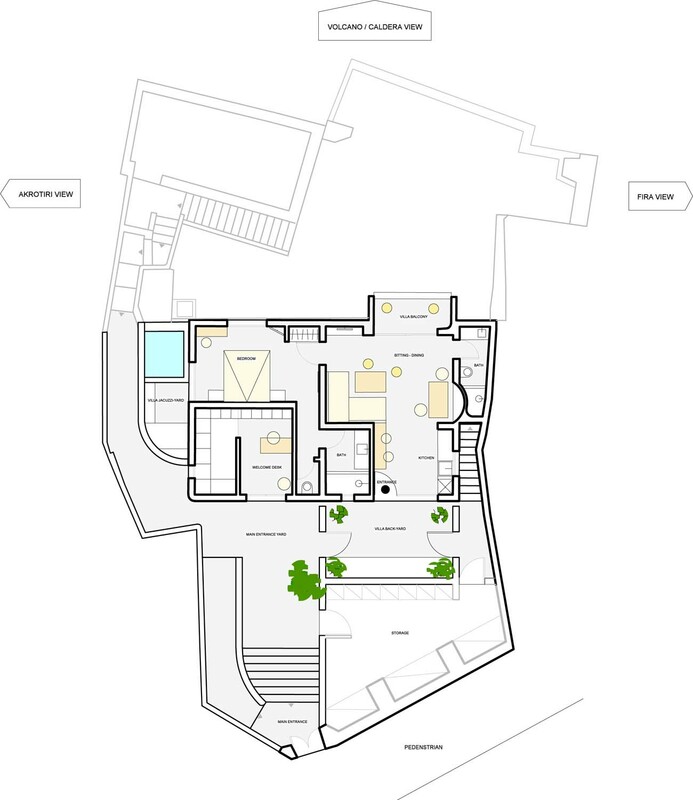 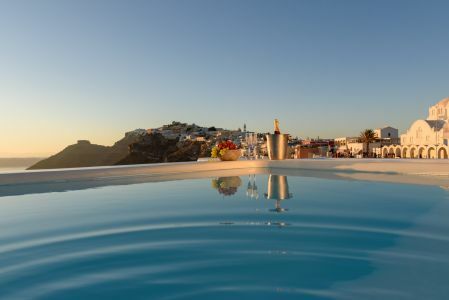 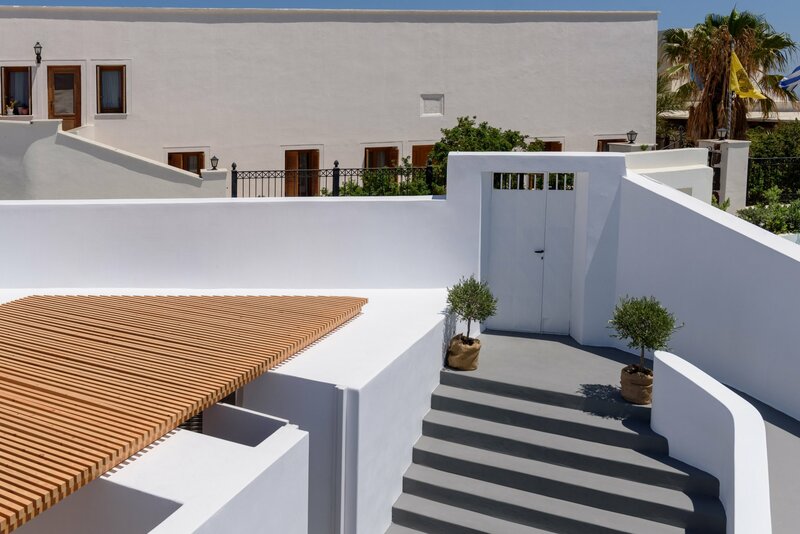 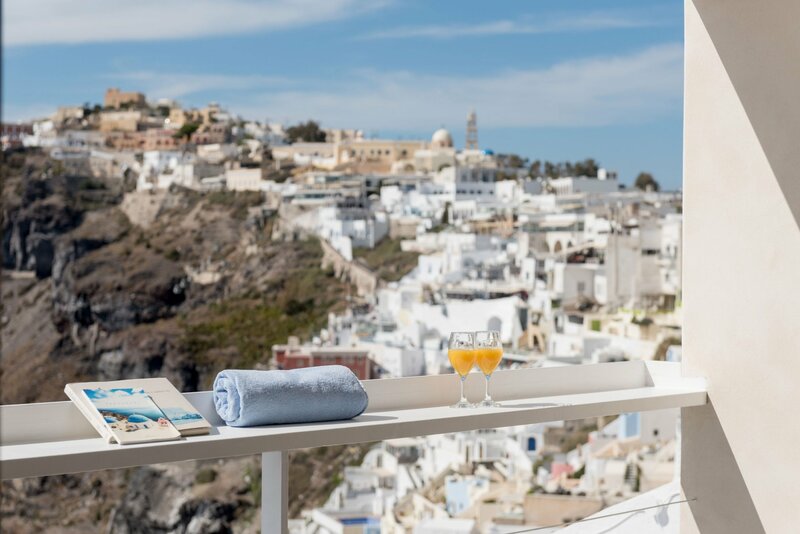 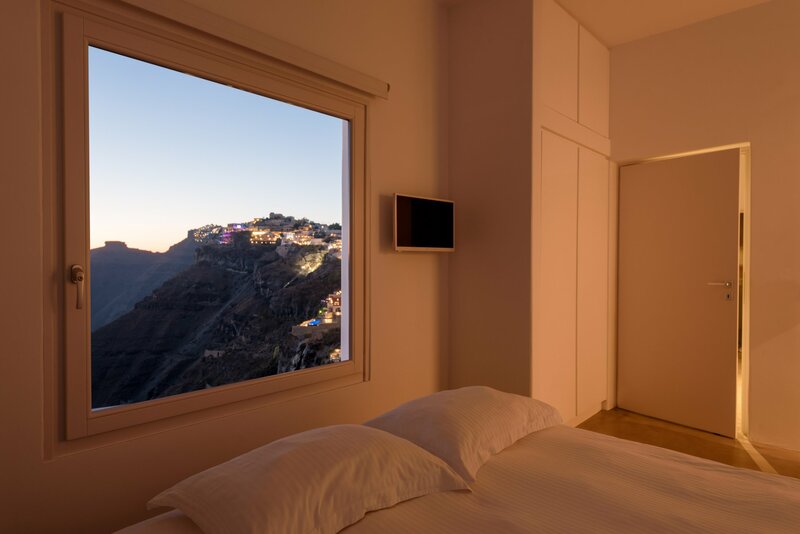 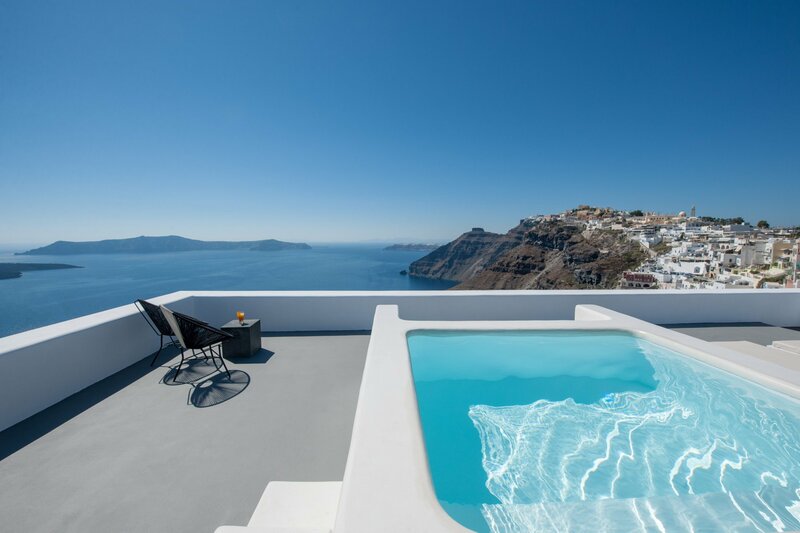 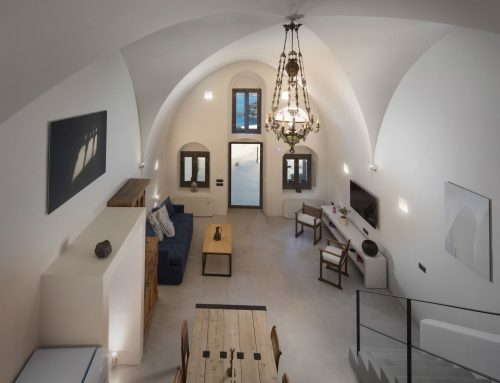 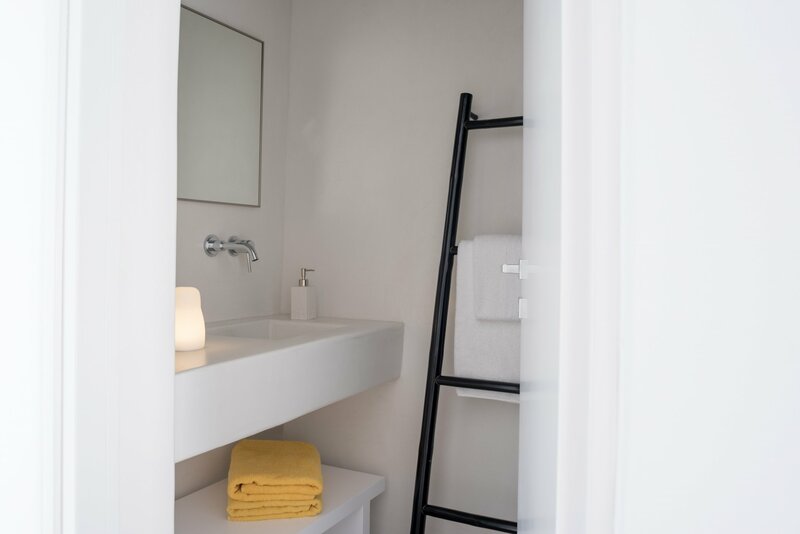 Available for the first time in August 2016, La Vida Breve is a newly built, 60 square meters villa, sitting on the cliff side, at a remarkable location in the heart of Fira and Caldera, within a proximity of less than 100 meters from our suites. 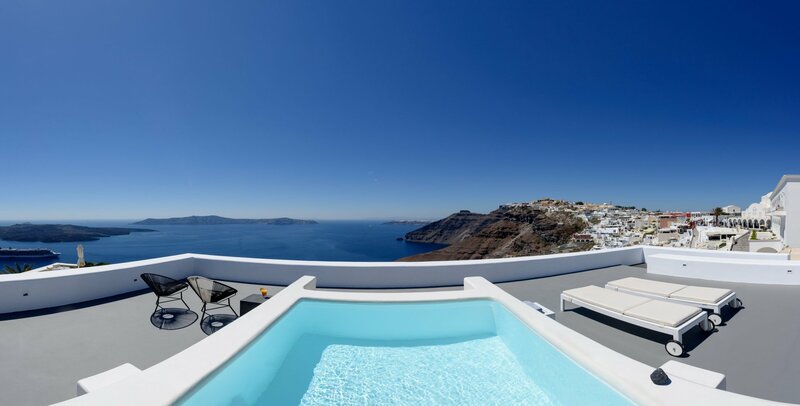 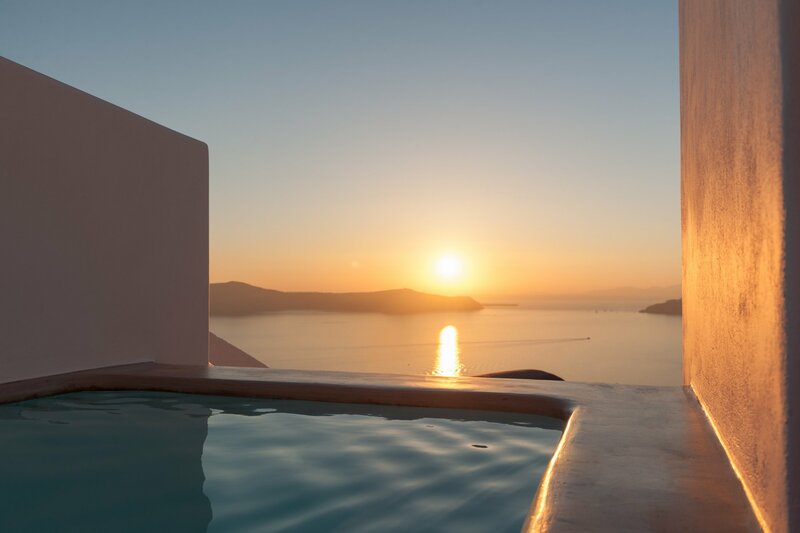 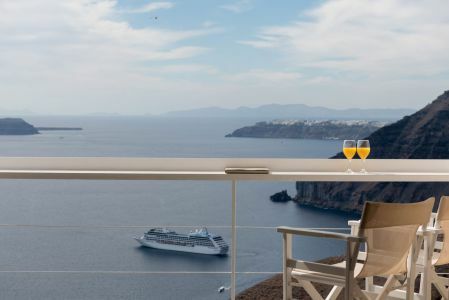 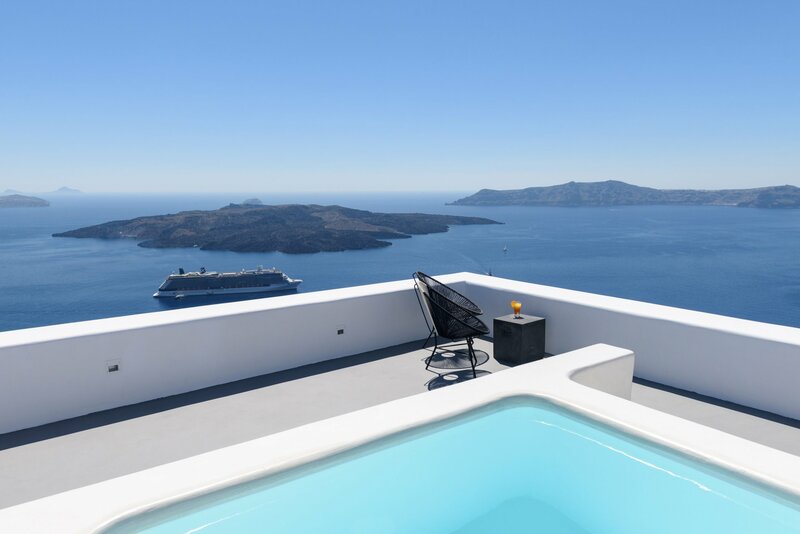 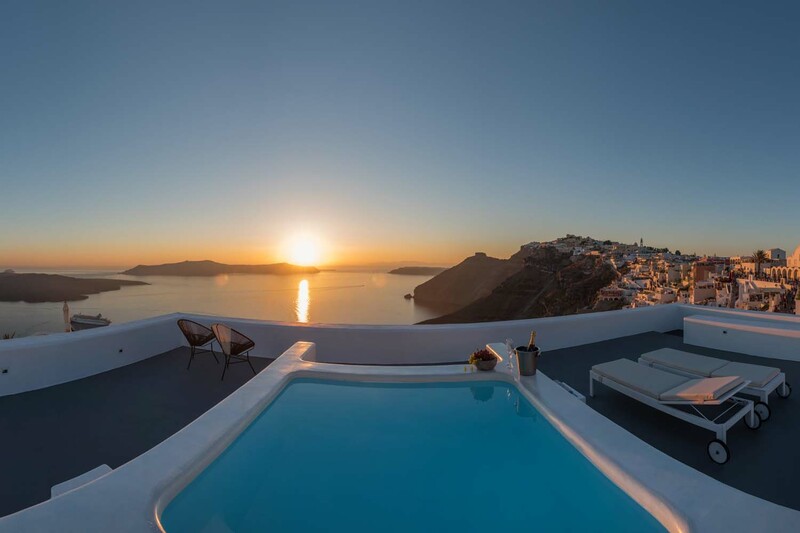 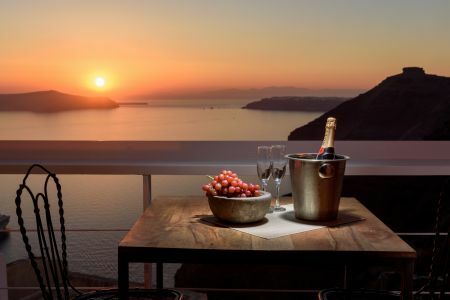 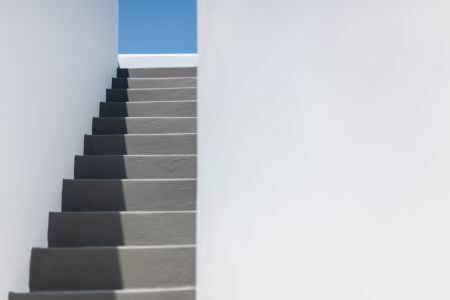 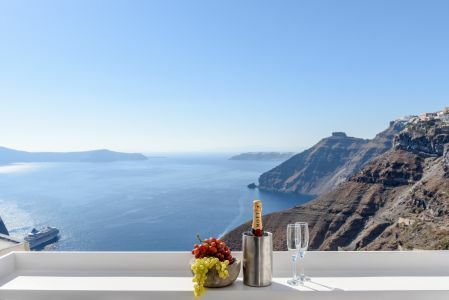 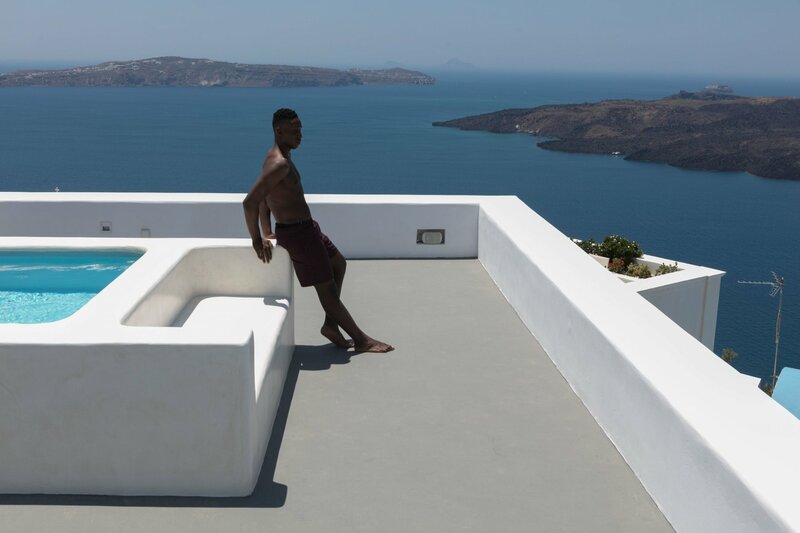 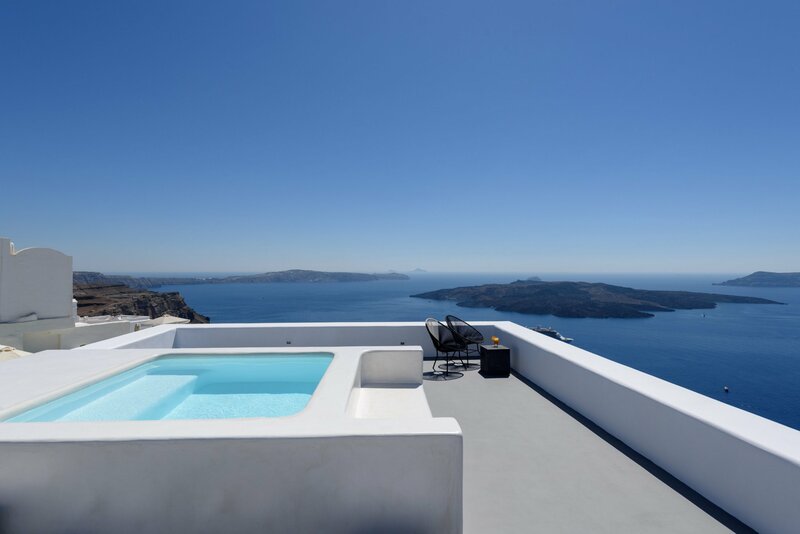 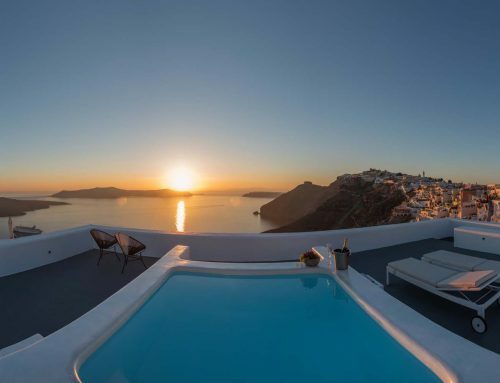 The location offers absolute privacy, and the best possible panoramic views of the volcano, the caldera and the Aegean sea. 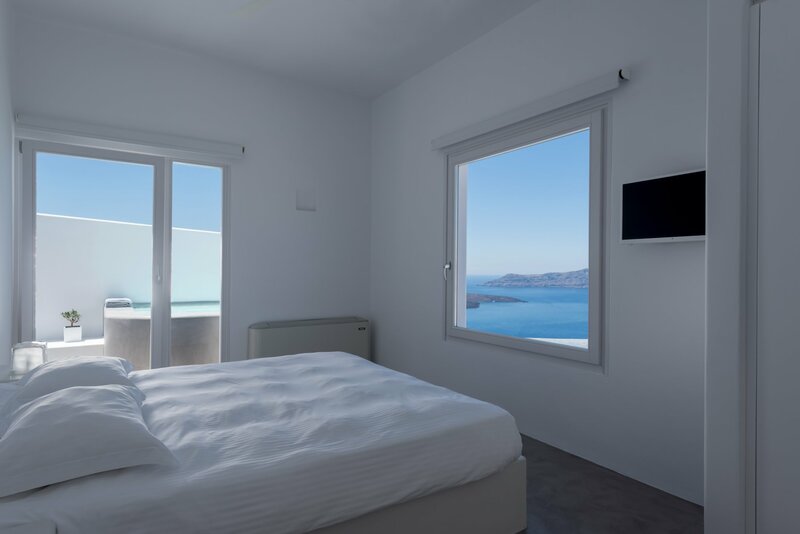 The spacious and fully equipped interior guarantees your comfortable and luxurious stay at the most spectacular location in Fira.